The Bahia Palace is located on the southern brink of the Medina, close to the Mellah. The spacious complex was built in the second half of the 19th century by the Alaouites. 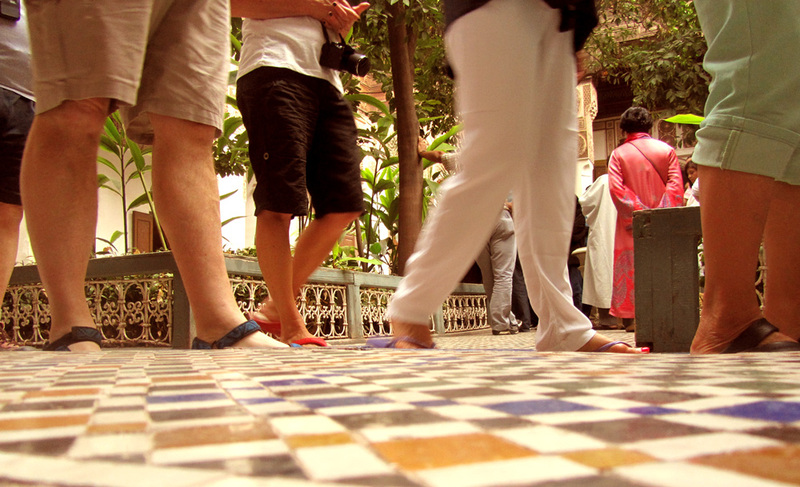 Today, it is counted among the most beautiful sights of Marrakech. The former palace of Grand Vizier Si Moussa covers more than 8000 m². 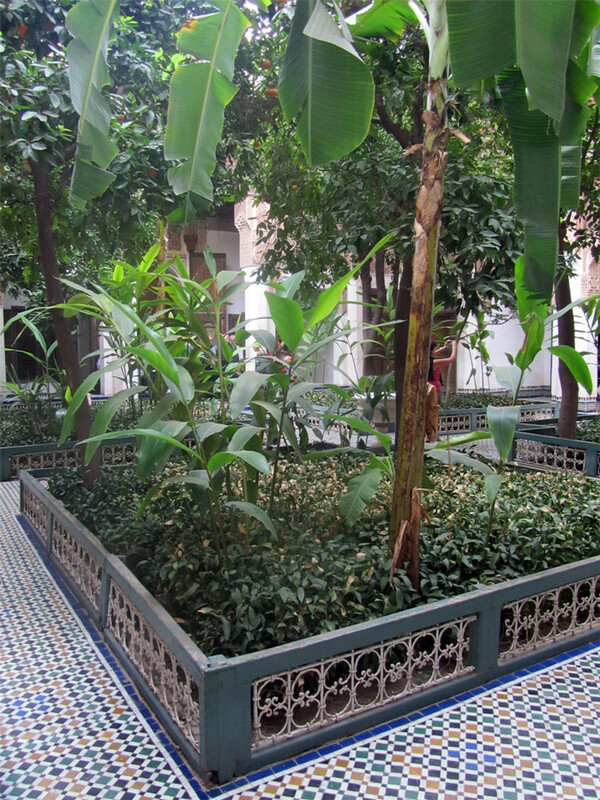 The complex consists of about 160 rooms, riads and court yards. The air in the generously planted patios is comfortably cool and moist and sweet with the fragrance of flowers and orange trees. 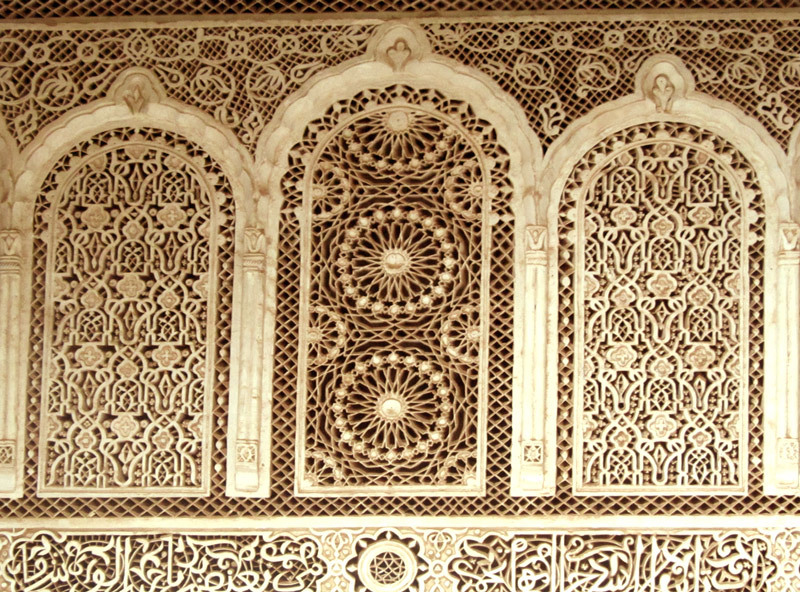 In Bahia Palace (French: Palais de la Bahia), Andalusian and Moorish architecture are in harmony with each other, just like in the Al-Hambra of Spanish Granada: There are delicate stuccoworks, the ceilings are decorated with expensive cedarwood carvings, and the artful mosaics and arabesques are simply marvelous. 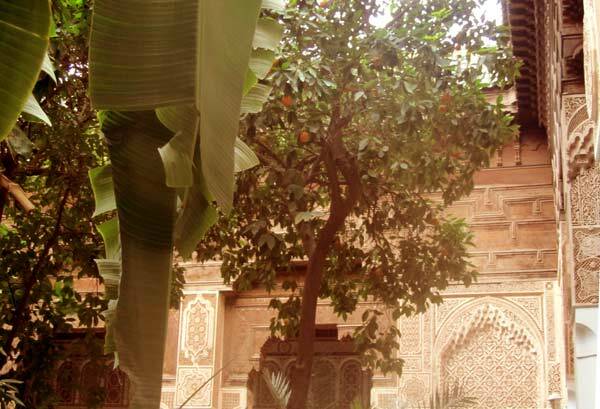 Under the successor of the Grand Vizier, Bou Ahmed, the palace was extended by a hammam, a mosque and an idyllic garden. 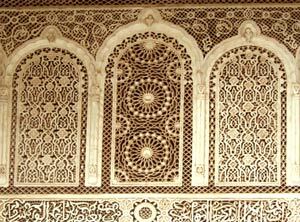 Although almost all of the rooms that are open to the public are empty today, the oriental architecture of the Palais de la Bahia is still impressive to such an extent that one can imagine how exuberantly luxurious the life of the Viziers must have been here. After all, the Arabian word “Bahia”, roughly translated, means “the luminous one” or “the brilliant one”. Thus, it is hardly astonishing that Bahia Palace has become interesting for the film industry. The complex has been used as the setting for movies such as Lawrence of Arabia (1962). Meanwhile, it has also been listed as a “World Heritage Site” by UNESCO. 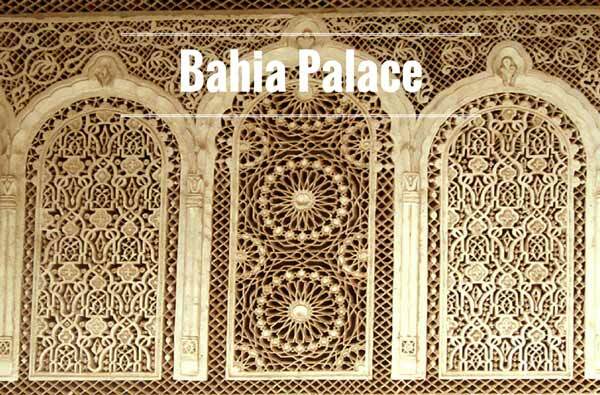 Plan at least 90 minutes for your visit of Bahia Palace. Near the entrance, local guides offer a tour of the palace for a small fee. You can, of course, easily find your way alone, but you will not get as much information as on a guided tour. Although the complex seems inviting enough, there is, unfortunately, hardly a place to sit down or relax. Moreover, Bahia Palace is one of the most visited sights in Marrakech, just like Ali ben Youssef Medersa and the Jardin Majorelle. If you want to avoid the crowds, you should come as early as possible to enjoy your visit fully. 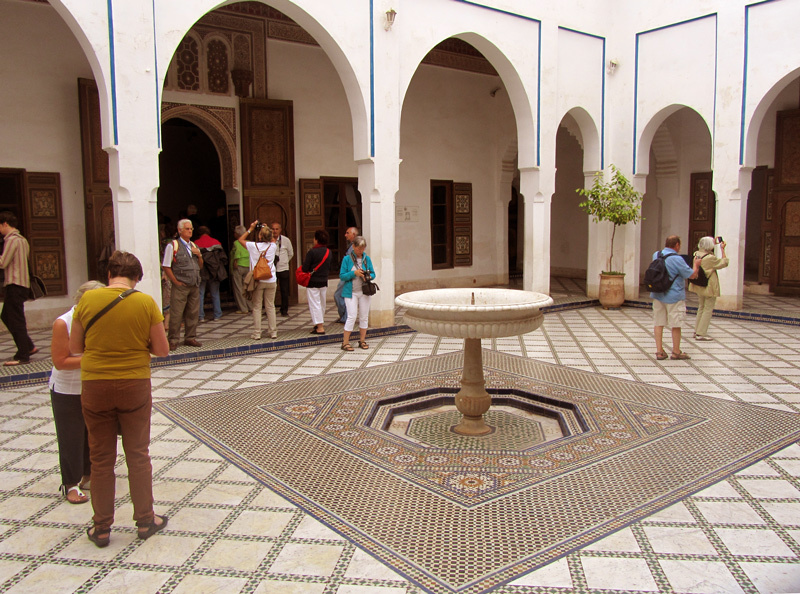 Bahia Palace is southeast of the Medina, close to the Mellah. It is accessible from Jamaa el-Fna via Riad Zitoun el-Jedid. With some reservations, the complex is accessible by wheelchair. Daily from 9 a.m. to 5 p.m.